Posted on August 22, 2013 by Sindhu S.
It is after many years that we had a family get together a month ago, during my India visit. And the happiest among us were the two young boys in the group, the sons of us sisters. After an initial hesitation, they gelled perfectly. Once the ice broke, the boys were inseparable for the rest of the days, almost two weeks. It appeared to be pure affection between the two. I regretted the years they missed when we were out of touch, years wasted not seeing or knowing each other. 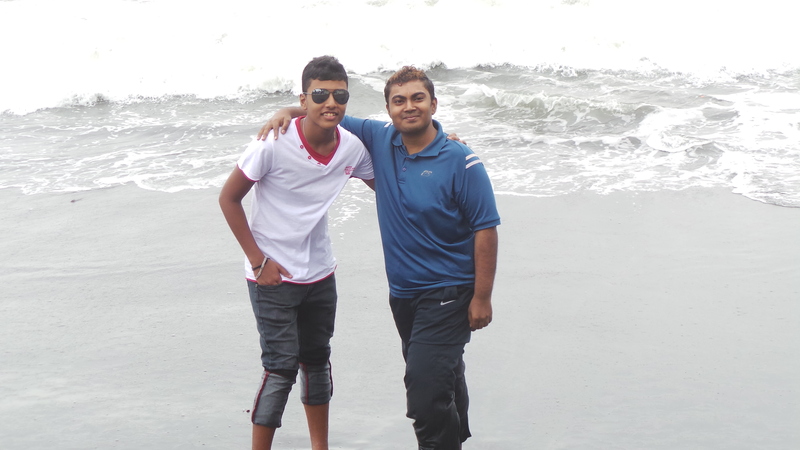 By the end of the vacation, I was worried that once back in Mumbai after that exciting vacation in Kerala, my son Advaaith might feel lonely without Kaushik, his cousin. Thankfully, Internet has made sure the connection is still there, and the affection as strong. Here’s celebration the young brothers, our kids.